Detection and removal of landmines is, at the present time, a serious problem of political, economical, environmental and humanitarian dimensions in many countries over the world. The simplicity and cost-effectiveness of mines are major factors in explaining the widespread use of mines throughout the numerous countries that are now faced with dealing with landmines & explosive remnants of war (ERW) contamination problem. Landmines are normally victim-operated instead of being specifically targeted, making them virtually unique among other weapon systems. These landmines make no distinction between friendly or enemy, children or animals. The civilian-purpose demining or humanitarian demining aims at finding and removing abandoned landmines without any hazard to the environment. These landmines had been intended for military use when they were planted, but their duty has expired. It is estimated that there are more than 110 million active mines scattered in 68 countries. Humanitarian demining includes performing two main processes, namely, ERW localization and ERW disposal. The reconnaissance stage of the demining procedure aims at accurately localizing surface-laid and buried landmines and UXOs. This process is more challenging and the success of the second process depends mainly on the accurate localization of the ERW. If the landmines are accurately localized, they can be destroyed or deactivated. Aligned with 17 Sustainable Development Goals (SDGs) adopted by UN Member States, humanitarian demining can play an instrumental role in achieving many of these goals. 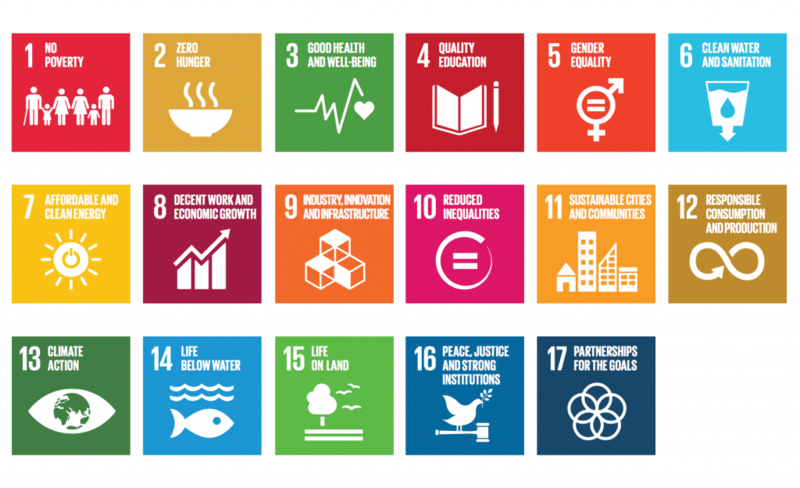 For example, the second goal of the SDGs aims at ending hunger, achieving food security and improved nutrition and promoting sustainable agriculture. In many of the most affected areas of the world, agriculture is the mainstay of the economy. Landmines are planted in fields, forests, around wells, water sources, and hydroelectric installations, making these unusable, or usable only at great risk. Both Afghanistan and Cambodia could double their agricultural production and reduce hunger if landmines were eliminated. Ensuring healthy lives and promoting well-being for all at all ages is the focus on the third goal. Landmines kill or incapacitate their victims. 5,000 people, of whom 46% are children have been falling victim to landmines and unexploded ordnances (UXOs) annually in many of the countries affected by war or in post-conflict situations around the world. Civilian casualties represent 79% of casualties where security forces casualties represent 18% and casualties between deminers are 3%. Significant percentage of these casualties is the result of Anti-personnel (AP) landmines. Landmine injuries include blindness, burns, destroyed limbs and shrapnel wounds. Often the victim dies from the blast because they do not get to medical care in time. Moreover, landmines create millions of refugees or internally displaced people. Humanitarian demining is definitely an enabler for healthy lives and well-being. The fourth goal focuses on ensuring inclusive and equitable quality education and promoting lifelong learning opportunities for all. Minesweepers as a technical challenge provides an inspirational and motivational platform for students, researchers and laypersons alike, to present their work to a wider forum with extensive media coverage. This competition can be seen as constructional activity for Challenge-based leaning (CBL) in both traditional and self-learning process. Constructionism is an active learning process in which students construct things that are personally meaningful to themselves or others around them. Instead of being served information in the traditional one-way setting, students develop their own knowledge and understandings of a subject through physical construction and implementation of their ideas. Humanitarian demining is a step toward making the affected cities safer and more ready for sustainable development to achieve the eleventh goal of the SDGs. 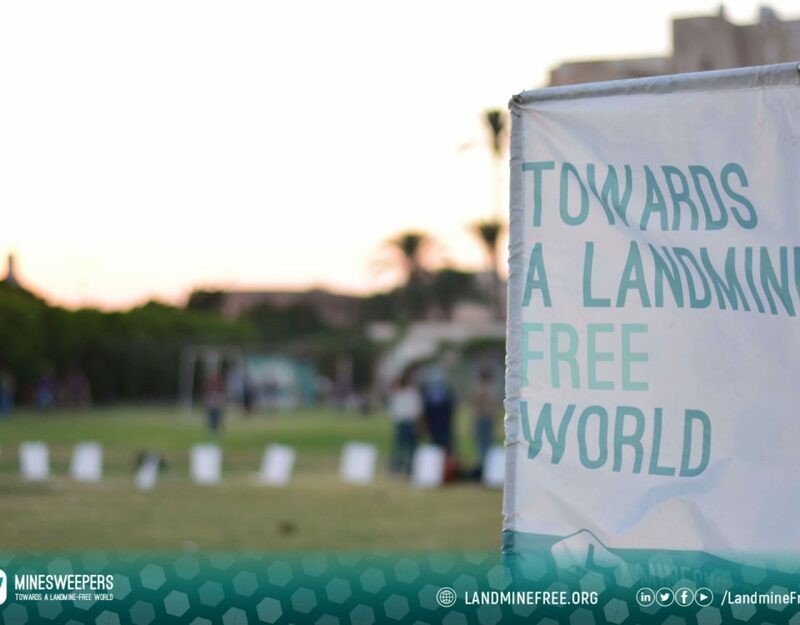 Until recently, about 100,000 mines were being removed, and about two million more were planted. The annual rate of clearance is far slower. If demining efforts remain about the same as they are now, and no new mines are laid, it will still take 1100 years to get rid of all the world’s active landmines and UXOs. The focus of fifteenth goal is to protect, restore and promote sustainable use of terrestrial ecosystems, sustainably manage forests, combat desertification, and halt and reverse land degradation and halt biodiversity loss. Humanitarian demining improves life on land. Humanitarian demining reduces hostile impact of landmines and UXOs and achieves peace for the inhabitants of the post-conflict zones as part of the sixteenth goal of the SDGs. 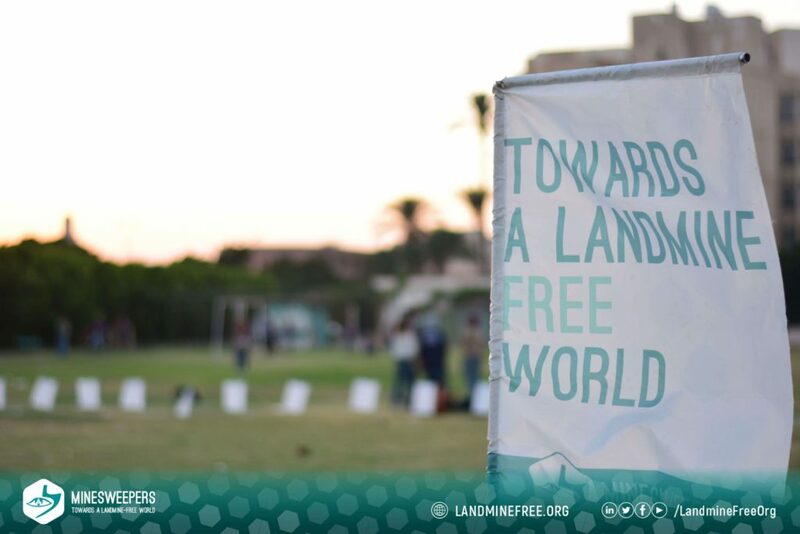 Many governmental institutions, NGOs and technical and non-technical organization are partnering together as directed by the seventeenth goal of the SDGs towards a landmine-free world. Many international initiatives have been established in order to ban anti-personnel mines and to provide awareness programs and to assist the victims. These invitees include, but are not limited to, International Campaign to Ban Landmines, Landmine and Cluster Munition Monitor, United Nations Mine Action, Ottawa Treaty, Swiss Foundation for Mine Action, Geneva Call, Canadian Landmine Foundation and International Coalition to Ban Uranium Weapons (ICBUW). Ottawa treaty, formally known as, convention on the prohibition of the use, stockpiling, production and transfer of anti-personnel mines and on their destruction is an anti-personnel mine ban convention that aims at eliminating anti-personnel landmines around the world. Up to date, there are 162 States Parties to the treaty. Only 35 states are still remaining outside the Ottawa treaty. United States, Russia, China and Egypt are still non-signatories. All of the previously mentioned initiatives aim at banning landmines and providing risk education and victim assistance. Very few initiatives have been undertaken or are currently undertaken to tackle the problem from technical points of view in terms of innovating detection and disposal techniques. While basic landmine detection and neutralizing theologies remain almost the same, landmine technology improved dramatically. Moreover, the humanitarian demining activities carried-out to remove landmines and unexploded ordnances from the vast contaminated areas are not on the same level of the problem. The conventional methods currently used in different countries for landmine detection relay on close-in detection or close proximity detection where the deminer inspects the field from a close distance using hand-probing techniques such as metal detectors, magnetometers and ground penetrating radar, manned armoured vehicles or biological techniques. This incubates a high risk due to the potential detonation of possible landmine or UXO. For example, in the conventional mag-and-flag approach or Standard Operating Procedure (SOP) commonly used, human deminers use metal detectors to identify targets, which are then flagged for subsequent digging. These conventional approaches make the procedure of removing great numbers of landmines tedious, very slow, inefficient, dangerous and costly. The deminers sweep the area at least 3 times slowly and manually probe 2000 times per square meter to be certain that the area under scanning is clear from landmines. Deminers sometimes stay weeks and even months without finding a single landmine. A deminer is killed and two injured for every 5000 successfully removed landmines. In some missions only 12% of the target landmines are detected. Moreover, in manual probing no digital data are recorded and the success depends upon the deminer’s skill resulting in inconsistent results. Consequently, more efficient ways to detect and locate landmines and UXOs are needed. This is one of the main objective of Minesweepers competition. Minesweepers: Towards a Landmine-free World (http://www.landminefree.org/) aims at raising public awareness of the seriousness of landmines and unexploded ordnances (UXOs) contamination, fostering robotics research and its applications in the area of humanitarian demining in the world and actively contribute toward the achievement of Sustainable Development Goals (SDGs) adopted by UN Member States. In this competition, each participating team constructs a teleoperated/autonomous unmanned ground/aerial vehicle that must be able to search for buried and surface-laid anti-personnel landmines and UXOs. The position and the type of each detected object are visualized and overlaid on a minefield map. The robot must be able to navigate through rough terrain that mimics a real minefield. The 8th edition of Minesweepers competition will take place in conjunction with The 2019 IEEE/RSJ International Conference on Intelligent Robots and Systems (IROS 2019) in the beautiful city of Macau, China in November 4-8, 2019.